The Network’s first workshop event was held at the Northampton HQ of the Association for Independent Optometrists and Dispensing Opticians (AIO) on May 16. It featured the Network’s partners who highlighted how they can help independent practices to succeed. The delegates were the owners of new or more established practices and practitioners looking to set up their first practice. 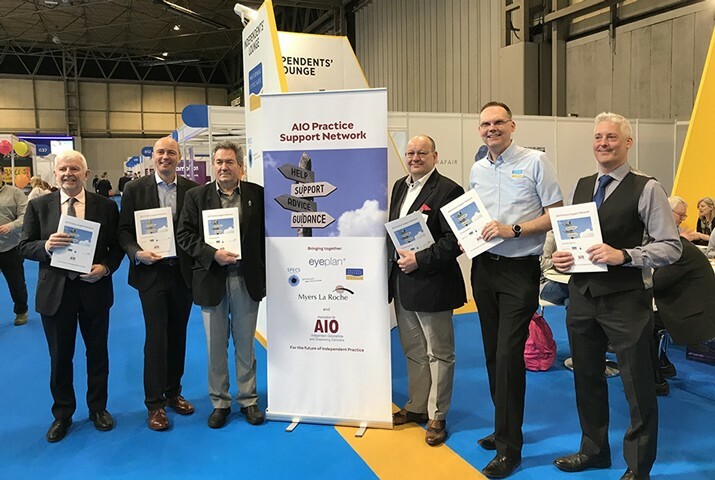 The Practice Support Network was launched at Optrafair last month and brings together partners with their own expertise offering guidance on all aspects of running a successful independent. The partners include Myers La Roche, the National Eyecare Group, Eyeplan and the SPECS Network. In an increasingly competitive business environment, we have seen a polarisation in the fortunes of independents. In the last 18 months, we have worked with some of the most successful and profitable practices we have ever seen and also some of the most desperate. There are strong common themes for success and failure though. Successful practice owners recognise that they can’t do everything themselves. They learn new skills that have enabled them to become masters of delegating, outsourcing and automating their systems. At the other end of the scale, we get approached by practice owners who fall into the trap of thinking that they are the whole business and as a result, end up working 70 hours a week and earning less than a locum. They then come to us at breaking point. The Practice Support Network has coverage across the partners to help in all key areas and to add value, whichever end of the success scale independents currently find themselves. We are keen to help practice owners improve their commercial skill sets and set up their strategies correctly to work smarter, not harder. The open day proved successful for Myers La Roche. The one-on-one sessions were great as they enabled me to communicate the breadth of experience that Myers La Roche has between our 10 consultants and my own personal passion for helping people,” said Dominic. I feel that there is a genuine passion and shared ethos between the partners. We all have vast pools of knowledge and experience to draw from and we all care deeply about the independent sector. The AIO Practice Support Network open day turned out to be very successful. It not only underlines the need for such a structured approach to help aspiring and new independents, but also how the Network can help established practices in a constantly changing world.